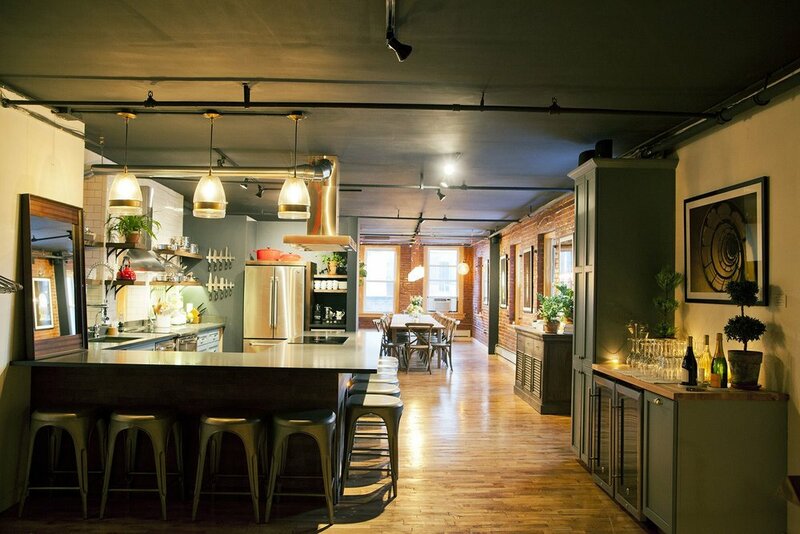 The Kitchen Table is a 1600-sf open commercial loft in New York City now available for filming. The space includes an open chef's kitchen - fully stocked with high end appliances, kitchen equipment, cookware, utensils and props. There's also a dining room area that can seat 26 and a living room with couches, armchairs, coffee table and a 65" television. The loft is ideal for filming with its south and east facing windows. Loading filming equipment is a breeze with parking downstairs and a large freight elevator that opens onto the sidewalk. The Loft's location is also perfect for filming with its quiet, rear facing fifth floor location and quiet ductless air conditioning units. Past production clients include Vogue, Cambell's Soup, Michael's, The Cooking Channel, PBS, Hormel, Melitta, Lipton and more. Contact the host today to book this location for your next film/television production.